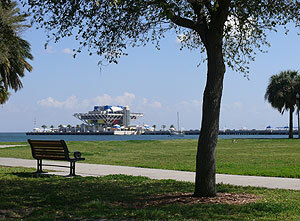 What is the best thing about Saint Petersburg, Florida and why? ST. PETERSBURG, Fla., Jan. 8, 2013 /PRNewswire/ -- Florida-based skin care company Celtic Complexion has announced a sponsorship agreement with professional rodeo barrel racer Tana Poppino, effective in January 2013. Read more about this Saint Petersburg, Florida press release. ST. PETERSBURG, Fla., Dec. 18, 2012 /PRNewswire/ -- Thanks to Jennifer Devlin and her Florida-based company, Celtic Complexion, www.celticcomplexion.com, many of the women in the Rockaway region of New York whose homes and personal and family belongings were destroyed by Hurricane Sandy are receiving donated skin care products. According to news reports, the Rockaway Peninsula was among the New York communities hit hardest by the storm, including the loss of some 80 homes destroyed by fire. Read more about this Saint Petersburg, Florida press release. ST. PETERSBURG, Fla., Aug. 15, 2012 -- Jennifer Devlin, founder of Celtic Complexion Organic Skin Care, has been nominated to compete in the Martha Stewart Presents American Made Awards, honoring small entrepreneurs across the land for their creativity, ingenuity, and inspiring products. Read more about this Saint Petersburg, Florida press release. ST. PETERSBURG, Fla., March 27, 2012 -- Bob Circosta, TV's first home shopping host, has been awarded the first-ever "HSN Legend" honor by HSN, Inc., reflecting his pioneering and trendsetting work in the electronic retailing industry. The award, presented at HSN's annual awards gala on March 8, was created to honor individuals who have had a major long-term impact on HSN's success, while also making significant contributions to the industry. Read more about this Saint Petersburg, Florida press release.